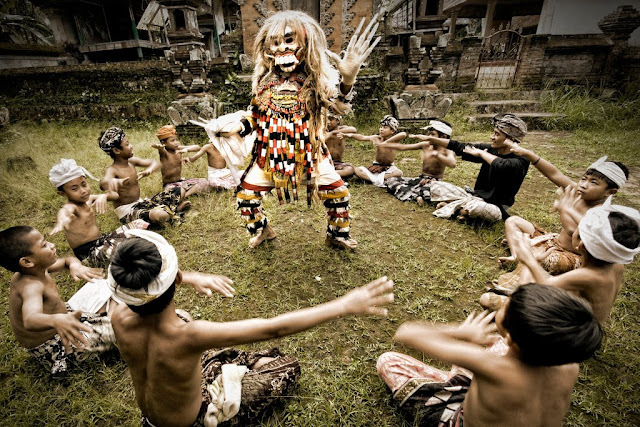 Kecak is a form of Balinese music drama, also known as the Ramayana Monkey Chant. The vocal music is performed by a circle of as many as 100s of performers, percussively chanting "cak" in interlocking patterns and rhythmically throwing up their arms. Other elements include a vocal gong cycle and a time keeper. Traditionally, it depicted a battle from the Ramayana where the monkey-like Vanara helped Prince Rama fight the evil King Ravana.